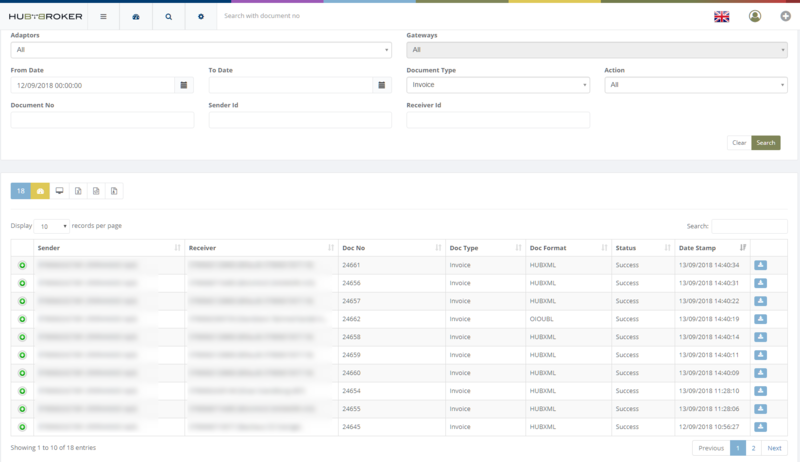 HubBroker Dashboard ensures that you have full control over your sent and received transactions through the HubBroker Integration Platform (iPaaS). 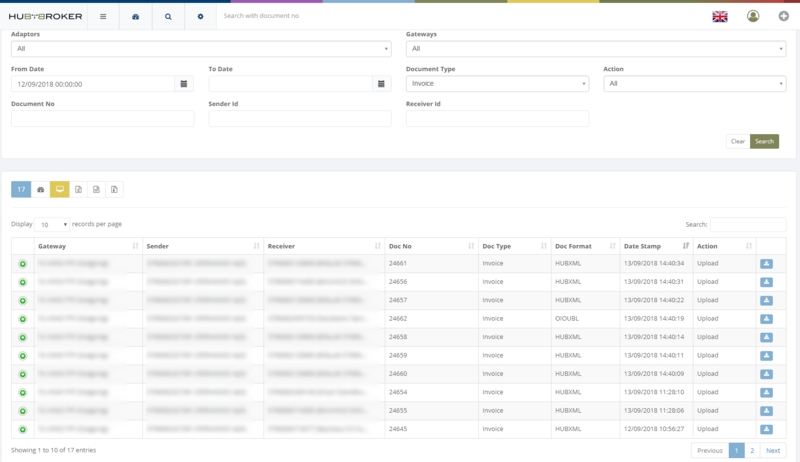 HubBroker Dashboard contains features to search for all parameters specified in the original and transformed file. 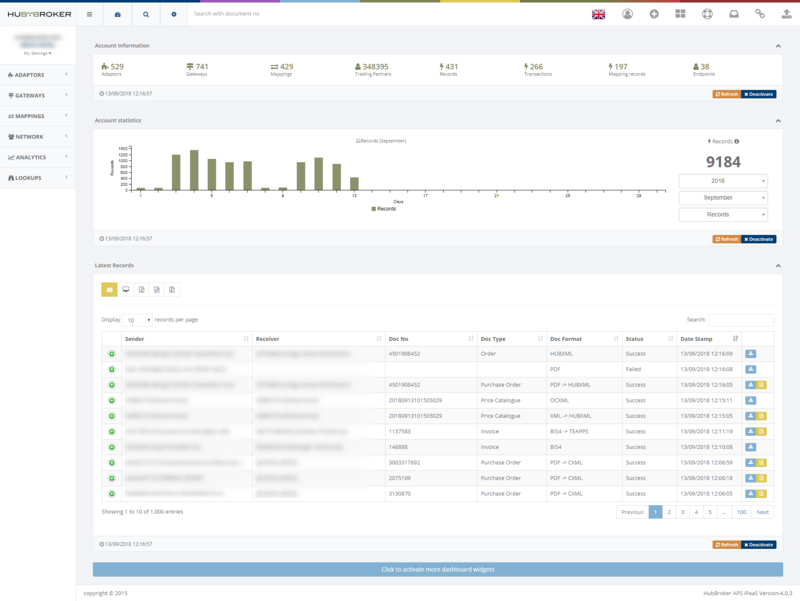 Dashboard contains widgets according to different statistics and information. You can activate or deactivate widgets according to your requirement and choice. Account Statistics illustrates graphical representation for records and transactions according to yearly and monthly. It displays all the details like sender, receiver, document no, document type, document format, status, gateway and datestamp. You can view and download the original or transformed file. When any document is transformed from one format to another format using mapping then you can download original and transformed document. You can export data into excel and xml format. Advance search is the way where you can search any type of data using filter options. You can download data in excel and xml format. You can download zip file for the searched documents.